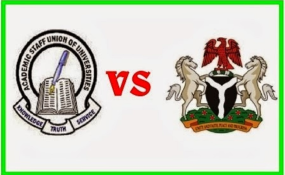 "The Academic Staff Union of Universities @ASUUNGR have asked @AsoRock to release N50 billion to demonstrate its commitment to the revitalisation of public universities, in line with previous agreements with the union," ASUU tweeted. It also disclosed that the union has "submitted its suggestions and awaits a meeting with the government next week." "Government promised to release the shortfall in salaries by January 18th, that's a day away. Let's wait and confirm that they've released it." "The union has submitted its suggestions and awaits a meeting with the government next week," he added.